Here’s a #throwback to my return to the outside world after my first-ever panic attack postpartum. Their struggles have reminded me just how severe MY postpartum anxiety was and how far I’ve come. It’s been over 2 years since my first panic led me to call 911 and eventually get the help I needed to work through my anxiety, depression and intrusive thoughts. I’m so GRATEFUL to be over that part of my postpartum journey. Because in all honesty, I didn’t really think I was going to make it through. 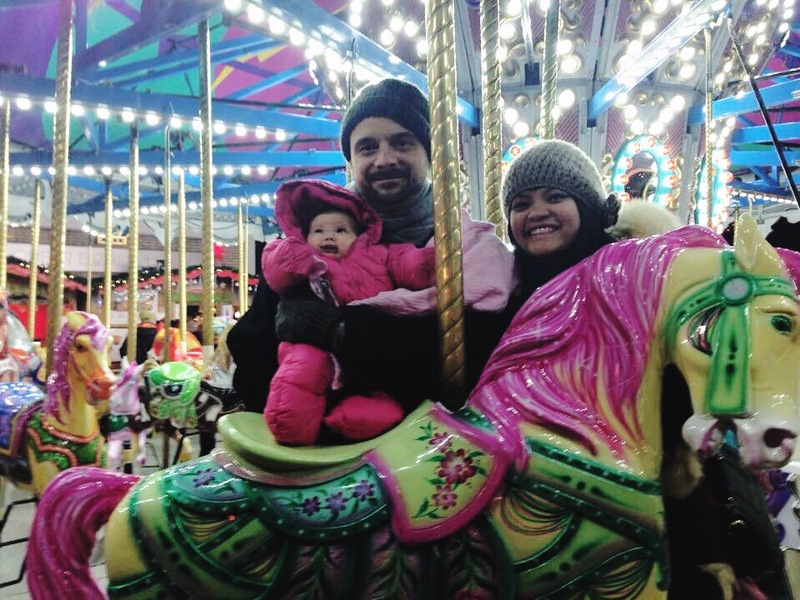 This picture is of our family at the Vancouver Christmas Market, about a month after my emergency hospital visit and a month into starting on my medication. I remember being too afraid to leave the house that night (alone or otherwise), but I remember pushing myself to do it anyway. I also had the support and company of my mom-in-law and husband that night. I remember feeling so horrible about the awful thoughts swirling around in my head, but forcing a smile for this picture. I remember shaking while waiting in line for some cheesy noodles, not because it was cold outside, but because I was so afraid that my next panic attack would hit at that moment and I’d feel as helpless as the day I did when I was alone with a screaming two month old trying to get ready for her immunizations. It’s not always easy to look back, especially when looking back means reminding yourself of painful times. But sometimes looking back on the painful past can remind you just how STRONG you really are. I have survived 100% of my bad days so far. Thanks for encouraging others to hang in there and overcome!